The theme for this issue of Nytt Rom is 'old meets new' and that, of course, is a key skill in Scandinavian design … to set the best of innovative or bold or even stark modern design within a historic or a rustic interior or to have beautifully-designed classic or antique furniture and objects in an otherwise uncompromisingly modern room. 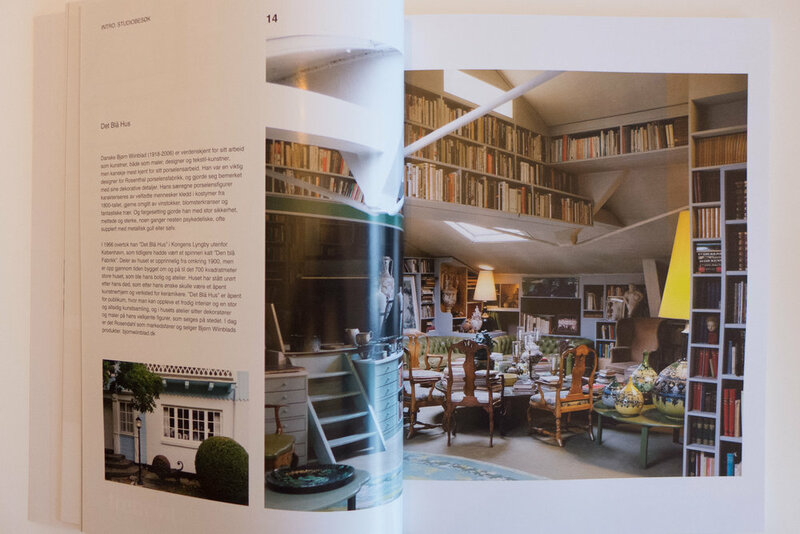 in the introduction people from four of the homes featured in the issue are asked about their favourite places where they live. Anne Margrethe Petersen lives in an Art Nouveau apartment in Bygdøy Allé in Oslo with polished parquet floors and decorated plaster ceiling cornices but has bold large pieces of modern furniture - the main bedroom in the apartment is featured on the cover - and there are interesting free-standing steel units in the kitchen. She choses, for her favourite place in the apartment, an old leather chair from her childhood home in Tromsø that is now next to windows facing the street and the city and where she can admire the Art Nouveau details on the roof. Henrik Kjær Christiansen, of Kjær Architecture, has an apartment in an old building in the centre of Copenhagen with angled walls and his choice of favourite place is sitting at his round kitchen table with a cup of coffee and a view of Nyhavn's canal. Jonas Gunerius Larsen has restored a wooden house in Oslo and likes to sit on the stairs to get an overview of the different parts of his house and he also sits at the kitchen window to see people passing by the building. Knud Foldstad, an architect in Stavanger, likes best where the construction and materials of his old house meet new design so it becomes a 'magical place.' This is in some ways the most striking and original of the interiors with beams and joists exposed above plain plaster walls without cornices and skirtings but there are many changes of level and intersecting spaces and the use of cupboards in softwood used as screens and an assured mix of styles with metal units in the kitchen on thin steel legs but a rococo oval mirror above the bathroom basin. 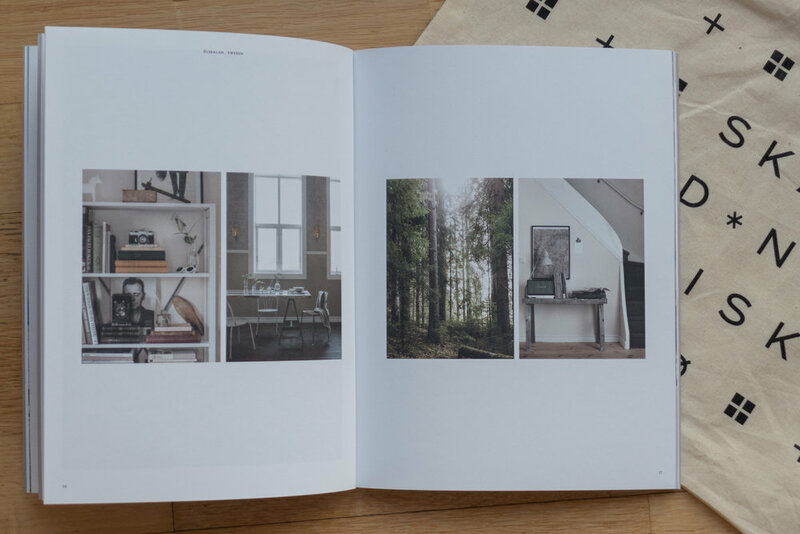 Another apartment, the home of Carsten Nielsen in Aalborg, is featured showing his mid-century modern furniture and there is a spread of photographs of one of the apartments in The Silo in Copenhagen that was recently converted by COBE - the Copenhagen architectural and planning offices who have converted former warehouses nearby as a new headquarters. Apartments in The Silo have very high ceilings and large sections of exposed concrete that were an integral part of the industrial building and make a very dramatic setting for furniture. From large pierced-metal balconies hung on the outside of the Silo, these apartments have views out across the entrance to the harbour with the sound beyond . This building is certain to be featured in many magazines over the coming years. The interior of the new Hotel Hermann K in the centre of Copenhagen - across the road from the department store Magasin - is featured. It is in a former electricity sub station and has a spectacular lobby rising through three floors in a tight space that has the lift and the main bar. 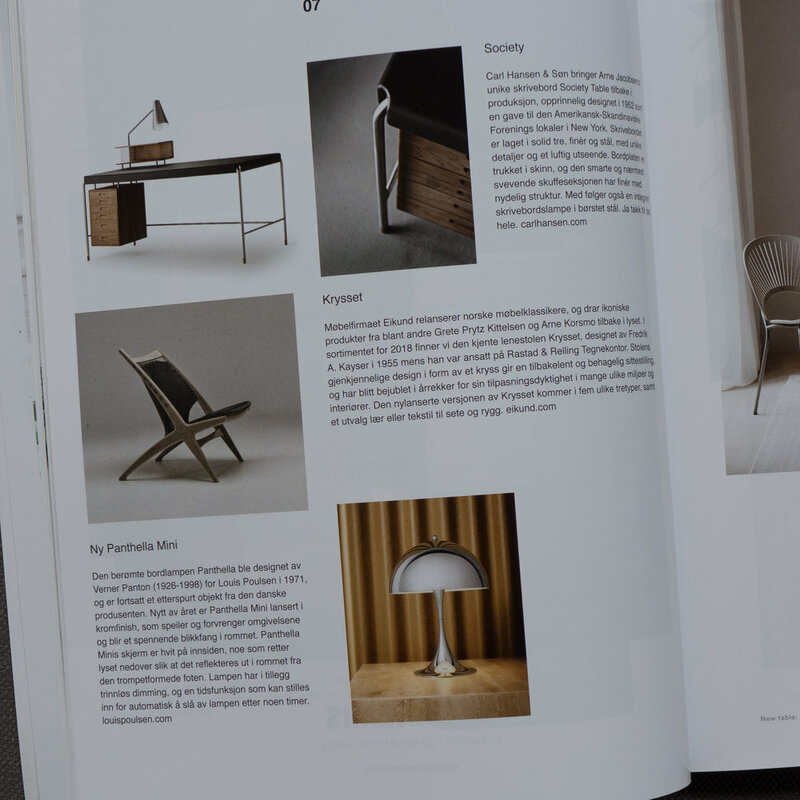 As always the magazine keeps track of both new designs and of designs from the classic period of mid 20th-century design that have been relaunched. 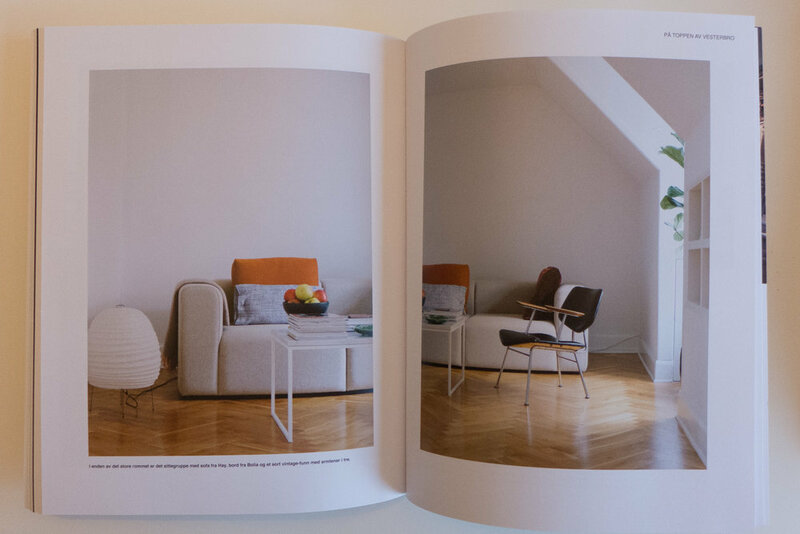 In this issue are Chair LC7 designed by Charlotte Perriand designed in 1927 and produced by Cassina from 1973; Noble Chair by Arne Hovmand-Olsen from 1959 that is now made for Warm Nordic and Model 107 by Ib Kofod-Larsen that was made by Magnus Olesen from 1956 that again has recently been relaunched. Among the notices about current exhibitions, there is a notice or preview, of the work of the Danish architect Dorte Mandrup who will be the subject of a major exhibition at Danish Architecture Centre opening on 13 March. And, as always, Nytt Rom has short book reviews or notices including one for Bauhaus Architecture 1919-1933 by Hans Engels … the magazine has an important role when book shops with comprehensive architecture sections are getting rarer and it is too easy to miss new publications. This is described as The Contradiction Issue and is "all about not being biased." Homes profiled include summerhouses in South Sjælland and near Stavanger and several apartments of very different styles. It was interesting to see just how many homes featured have imaginative solutions for what is essentially storage on display. 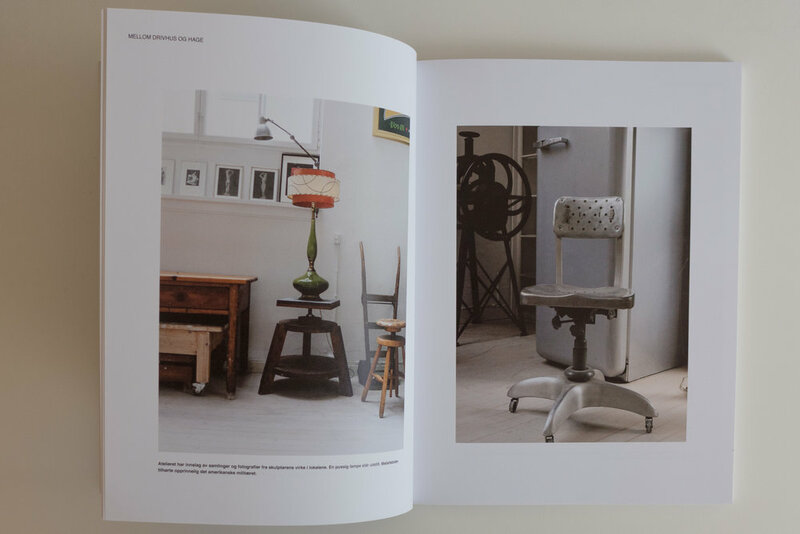 Short reviews of furniture and product include furniture by Karimoku and Norm, a kettle from Vipp, the Blister Bowl from Matias Moellenbach and the reissue by Menu of the Knitting Chair by Ib Kofod-Larsen from 1951. There is a short notice with a couple of photographs of the courtyard space of the Nationalmuseum in Stockholm that will reopen on the 13th of this month after being closed to the public for several years for major restoration. 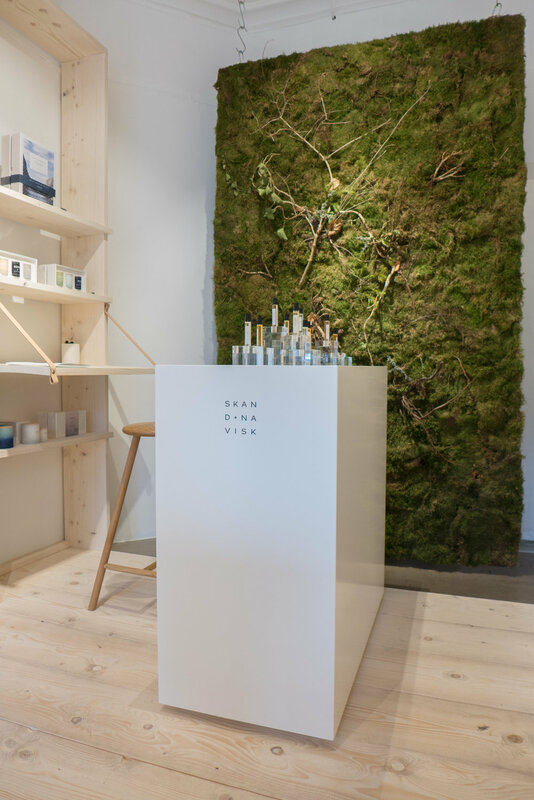 There are the expected reviews of books, new design and food places including the furniture of Million cph and the Wulff & Konstali shop in Nørrebro. 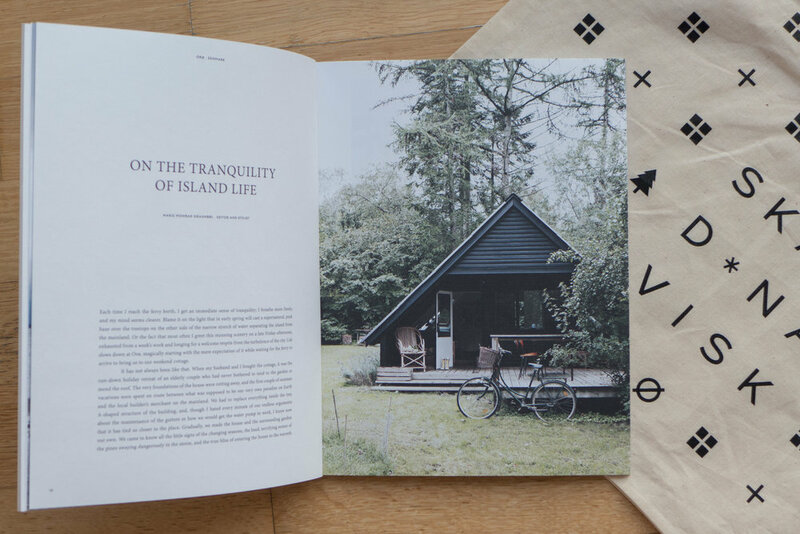 A number of reviews focus on design in Belgium and the Netherlands. There are also longer profiles of the homes of designers including the studio of Niels Ditlevs in Fredriksberg with amazing industrial pieces including lighting and furniture; the home of Claus Jakobsens of Million cph with deep green walls as a background for classic modern furniture; the town house of Grete Jarmund and Kjell Beites and in Flanders a single-storey, metal-framed and glass house by Govaert & Vanhouttein that has been built in the established garden of an older house that is a restaurant. Issue 64 of Nytt Rom is now out. 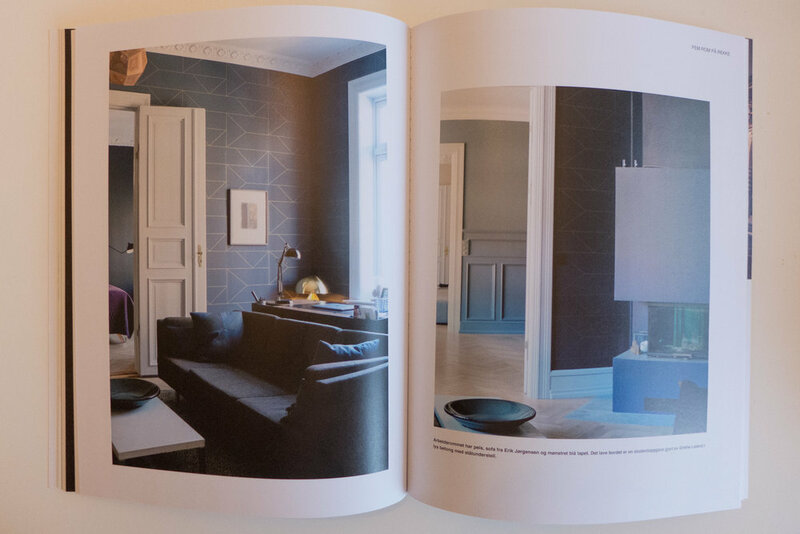 With the usual good mix of short reviews of exhibitions; notes about new products or relaunches and photo essays of a fascinating selection of the houses and apartments - here all the homes of design professionals - there is a sub heading .... so this is the 'romkvaliteter' or room quality issue of Nytt Rom. In his preface, the editor Hans Petter Smeby explains why there is this focus for this issue ….. So not about what you might expect in a magazine about Scandinavian design - not simply about the high quality of Scandinavian design but, much more interesting, about the character and quality of spaces in which we set the design ... how well-designed furniture and objects are often difficult to judge objectively from a photograph taken in a carefully-styled studio set and really should not be seen in isolation because everything we buy, particularly furniture, has to function in a real space and occupy a real place ... so this is less about the object and more about context. There is a brief assessment of the new DAC (Danish Architecture Centre) on the harbour in Copenhagen and photographs of their first big exhibition - Welcome Home. 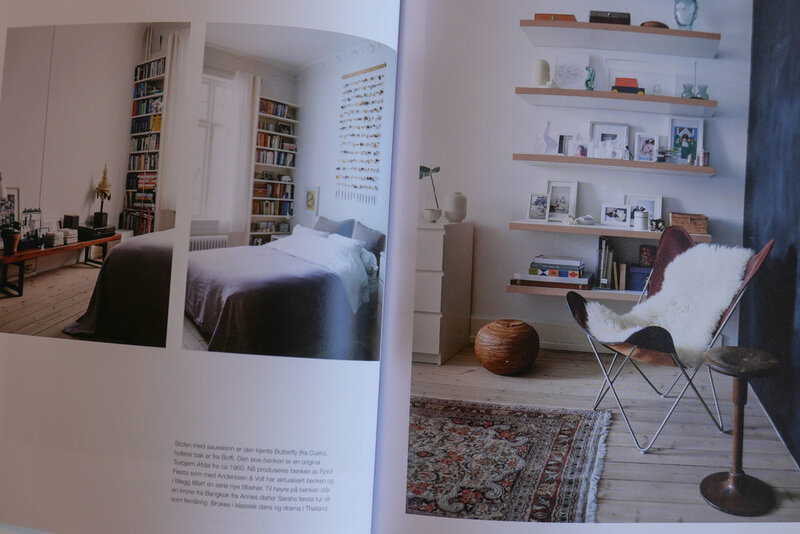 Longer profiles of the homes of people working in design include this month the Oslo home of Gitte Witt and Filip Loebbert; the apartment of Marie Graunbøl in Enghave Plads in Vesterbro in Copenhagen and the homes of Jeppe Christensen of Reform and Common Seating and of Hannah Trickett in Ørestaden in Copenhagen. 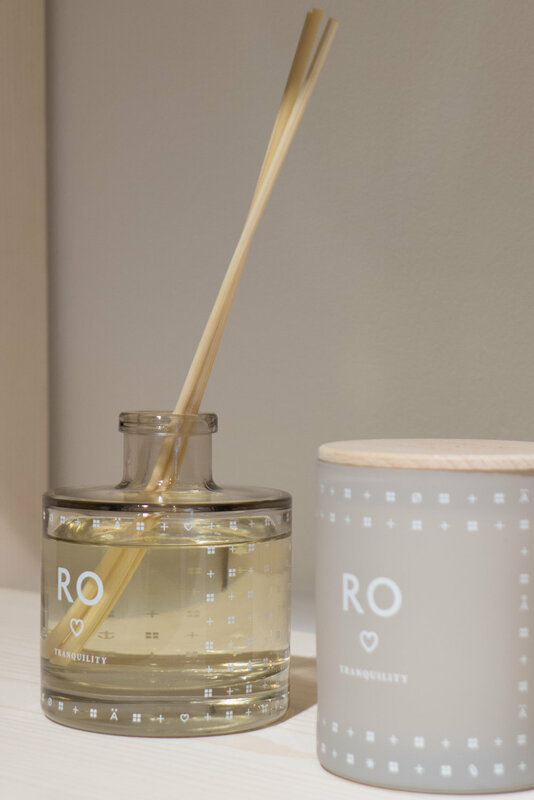 What is common to all these interiors is a general feeling of clean open space, most still with white walls, with careful placing of classic design pieces along with more unusual and more personal pieces of pottery or items brought back from travels. Photographs were taken from further back so cornices and floors are shown giving at least some sense of the height and scale of the spaces and the inclusion of windows is interesting, in part because this shows how important light is and how important it is to consider how light changes through the day illuminating and then throwing into shadow parts of a room and of course it is fascinating to see that most Scandinavian homes are a curtain-free zone. What clearly is important, to make it all work, is the designers eye for choosing and mixing and placing. The dining room in the apartment of Jeppe Christensen is great with a deep blue wall - that distinct deep blue slightly softer and greyer than French navy - is this the St Paul blue from Frama - with a bench against it with a strong orange colour for seating on one side of the white table and then arranged around the other sides a collection of classic chairs with a Thonet bentwood arm chair in black; an Arne Jacobsen Grand Prix in black; an Eames wire chair; a Workshop Chair by Cecile Manz and a Standard Chair by Jean Prouvé and again in black. Above the table is a bold but ultra-simple white pendant lamp although not the usual light from Louis Poulsen or Le Klint or even a Sinus by Piet Hein but a pendant designed by Gino Sarfatti. Clearly the skill is to imitate a good conversation … know what to quote to show you know what you are talking about, mix things up by combining very different things and then throw in something unexpected. There is an alternative to plain walls …there are photographs of the display rooms at Skagerak - out on the north side of Kastellet in Copenhagen - with some of the rooms painted with designs by All The Way to Paris and an amazing photograph, towards the end, of furniture from Hay shown in the Palazzo Clerisi in a room lined with ornate gilded panelling and mirrors. Along with a lot more there is a photo review of the new restaurant on the Silo building overlooking the north harbour in Copenhagen and a photograph of the recently re launched NOMA in their new home in Copenhagen. As you begin to think that some of these ideas might be do-able, Nytt Rom throws in three buildings that are really beyond the dreams of most - a house on a Danish beach by Norm; a house in a steep-sided wooded valley by Stiv Kulig and a house by Think Architects that clings to an outcrop of rock against a mountain backdrop ... design set in the space of stunning landscapes. This issue for April and May has the theme "sharing dreams." 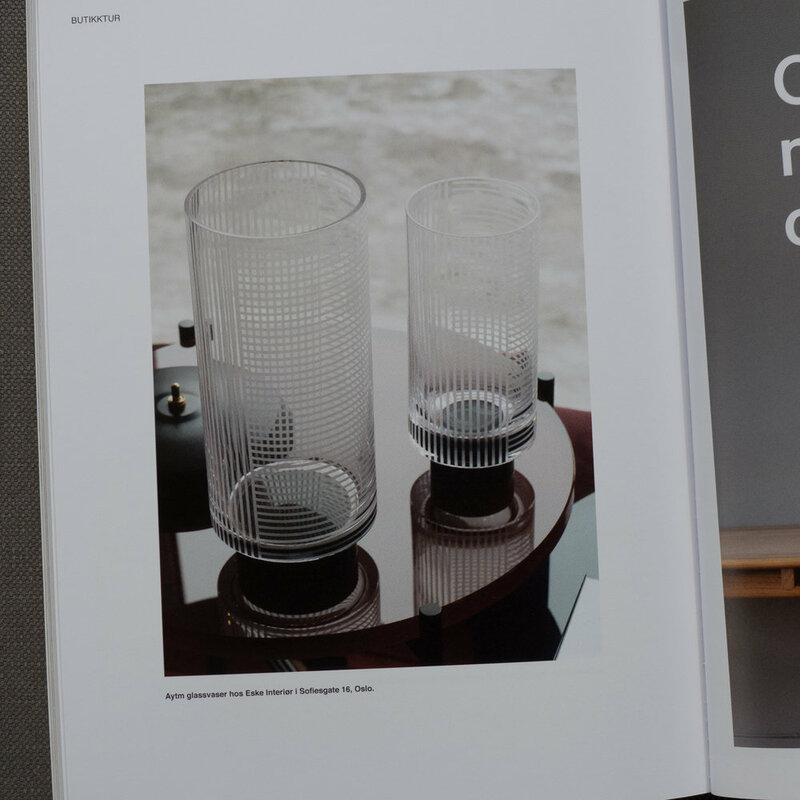 Nytt Rom is always a good place to find out about what is new or what has been or is about to be re released so this month a short piece about the desk designed by Arne Jacobsen from 1952 that is back in the catalogue with Carl Hansen; a new side light or table lamp from Louis Poulsen based on the 1971 Panthella designed by Verner Panton; the Triangle Chair from 1958 by Vilhelm Wohlert now available from stellarworks along with an interesting new chair by Anderssen & Voll called Pavilion that is for &tradition and a three intriguing chairs - the Letter A Chair by Caroline Olsson, the No 7 Lounge by Helge Sibast and the slightly more traditional design from Isabel AHM - the AHM Chair. 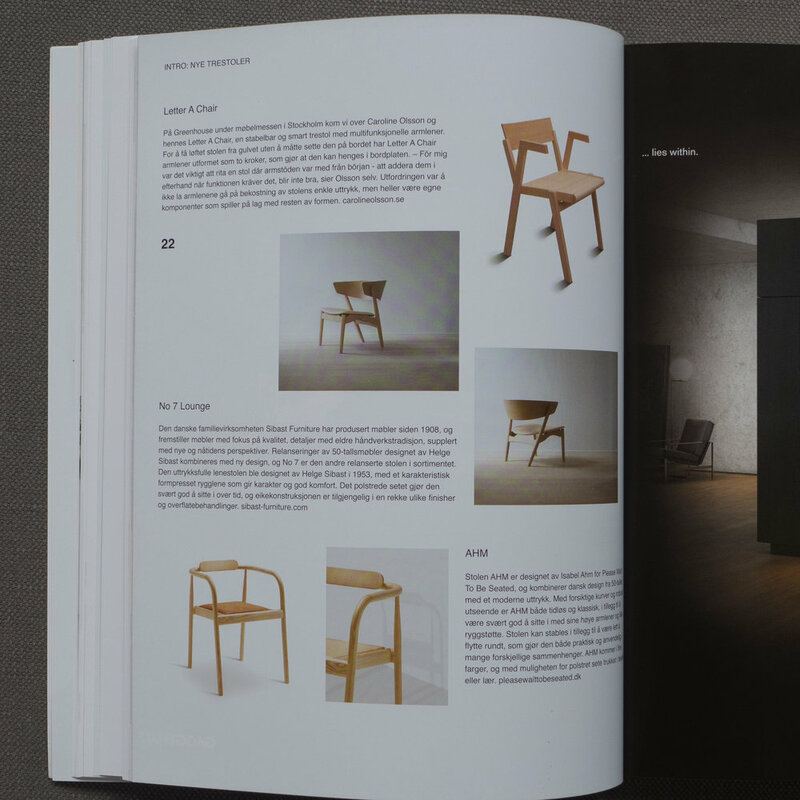 Profiles of designers include an article on the American designer Brad Ascalon who designed the Preludia series of chairs for Carl Hansen. 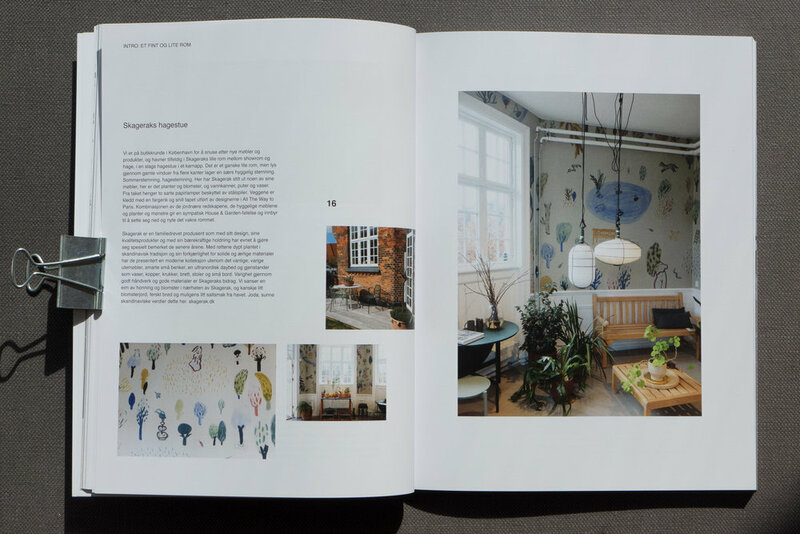 Buildings and interiors include a longer piece on a farmhouse in Skåne and an apartment of Henrik Olssøn and Erika Barbieri. Back in February the online magazine site Magasinet KBH posted a video that shows the journey of the ferry from the south end of the harbour at Teglholmen to the landing stage at Nordre Tolbod. The camera was set up on the front of a ferry so you see the whole harbour at ferry speed including turning in and docking at each of the landing stages and then backing out before heading on north. The film takes about 44 minutes because the ferry takes about 44 minutes and this really is the antidote to the swipe right and move on approach to much on the Web. This is slow web at its best and 44 minutes is not download but run time. I took the ferry down to the south end of the harbour to take the photographs for posts here so it seemed like a good time to include this with a link to their site. Magasinet KBH is an online magazine with articles on buildings and planning in Copenhagen with general architecture and environmental news and interesting opinion pieces. There is also a regular news letter that you can sign up to receive automatically. It is in Danish but translating the tab in Safari or Chrome works well.